Sausage made with wild boar, with no antibiotics or hormones. Handmade without nitrates, nitrites or artificial ingredients. 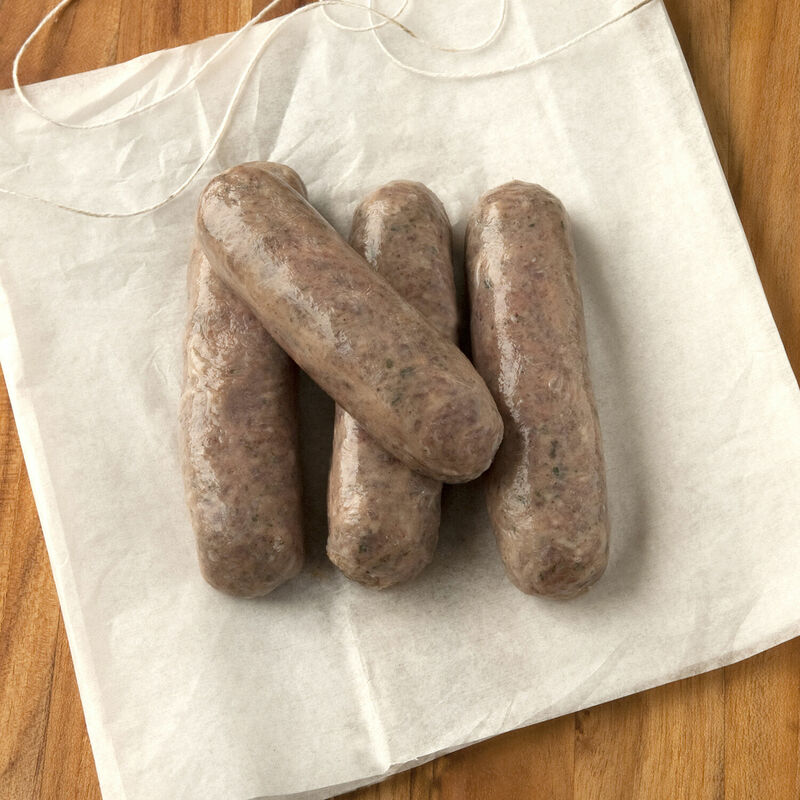 Lean wild boar sausage is aromatic and full-flavored with a mellow sweetness from a hint of sherry. The robust pork-like flavor works well in many recipes.